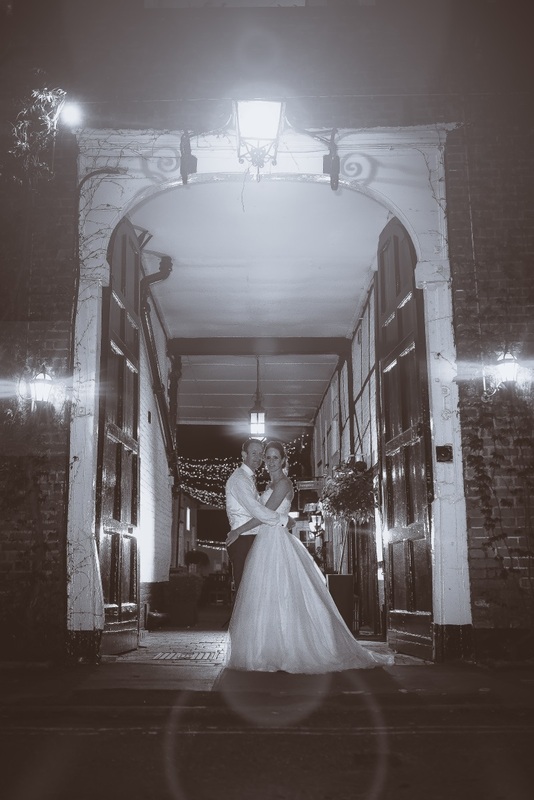 Combining traditional architecture with contemporary interiors in a historic setting, this Surrey country house inn is a charming retreat for marrying couples and wedding parties of up to 150. 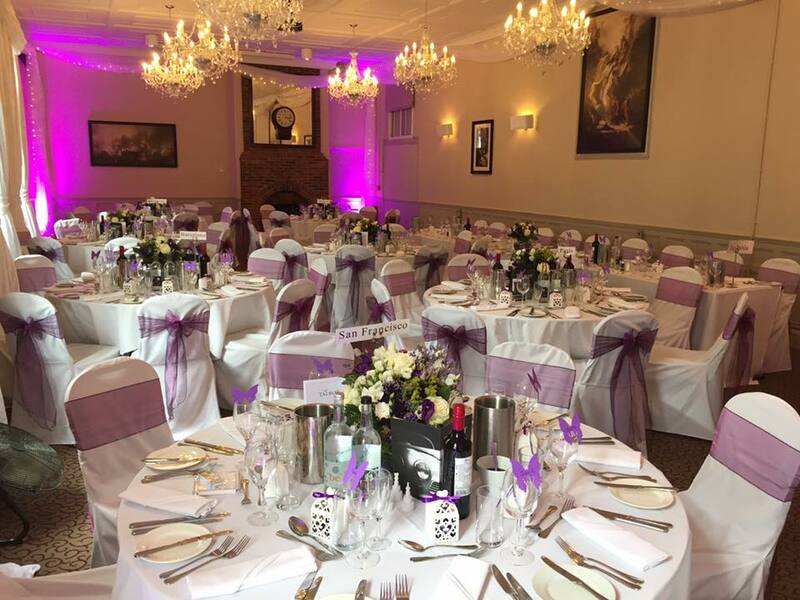 Providing a friendly service with careful attention to detail, The Talbot can present an attractive range of all-inclusive wedding packages to ensure there will be no extra costs on the big day. 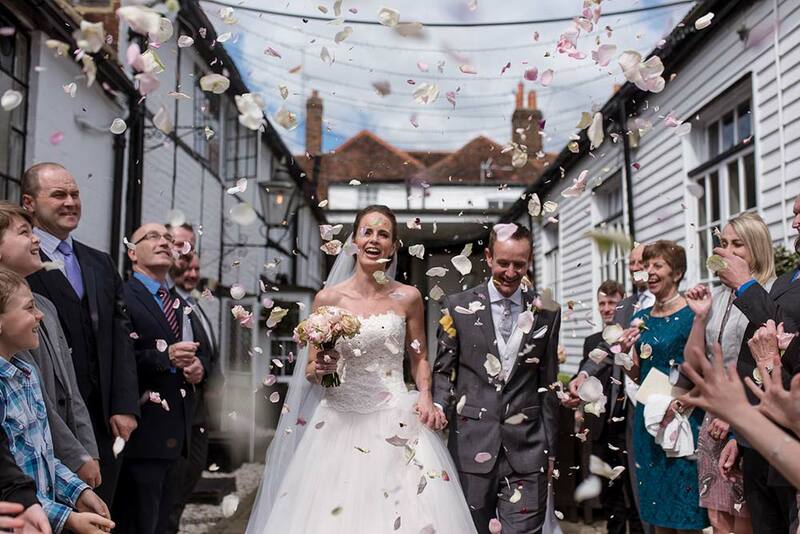 Complete with a modern restaurant, ceremony-licensed barn, a summer terrace and garden area, plus 43 luxury bedrooms for you and your guests, this venue presents historic charm within easy reach of Guildford or both Heathrow and Gatwick airports. 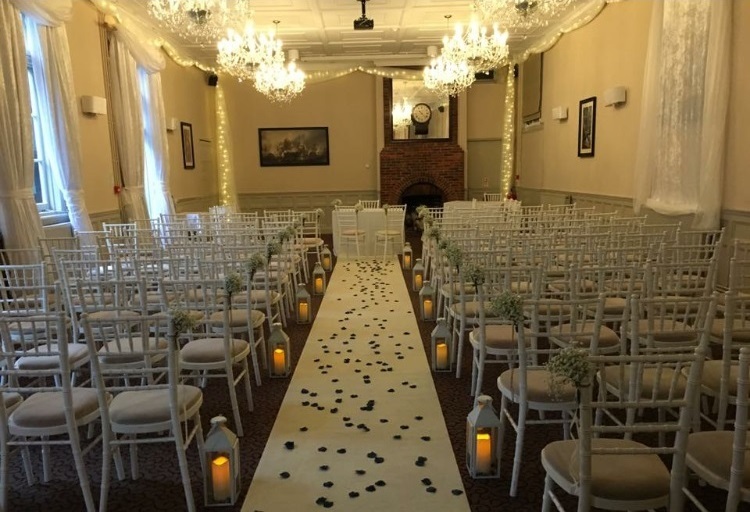 From time to time, the wedding team advertise special deals, and currently offer a 2019 wedding package costing £3950. 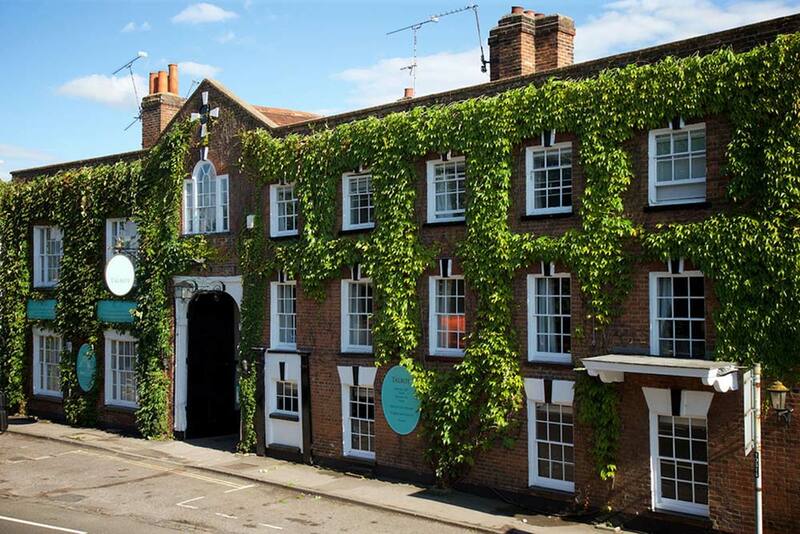 Constructed over 500 years ago, this 15th-century coaching inn is characteristic of its time, but underwent considerable modification in the mid-18th century, now presenting a typical Georgian façade concealing a wealth of timber framing and other earlier architectural features. Whilst serving a variety of patrons throughout history, The Talbot enjoyed its moments in the spotlight in 1798 when the inn is reputed to have provided a trysting-place for Lord Nelson and Lady Hamilton's love affair. The largest of the hotel's events rooms, this large space can seat up to 80 guests for formal banqueting, 120 theatre-style, and up to 150 for informal receptions. This bright and airy space features stunning views out to the garden through floor-to-ceiling contemporary glass windows. 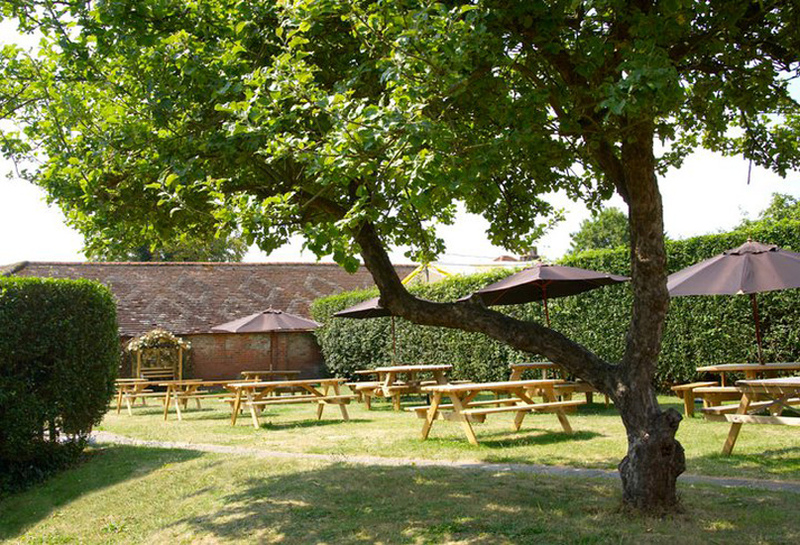 It's great for informal wedding receptions with up to 30 guests. This extremely intimate and private space is licensed to host civil ceremonies and formal receptions with up to 20 guests. 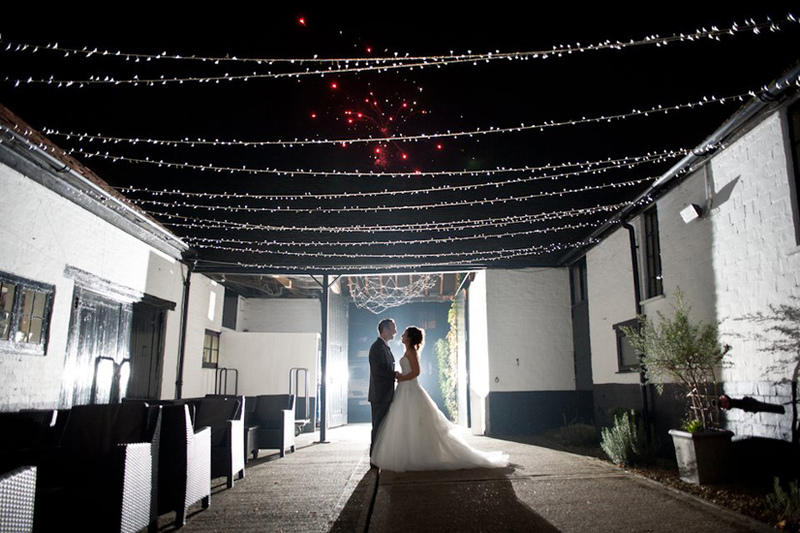 Converted from the original coaching inn's stables, these barns featuring atmospheric low beams and twinkling fairy lights offer the perfect environment for 70 guests. With its own individual character the modern restaurant aims to provide a wide range of traditional dishes and a mouthwatering array of tastes. Representative samples of their style of cuisine can be viewed online. 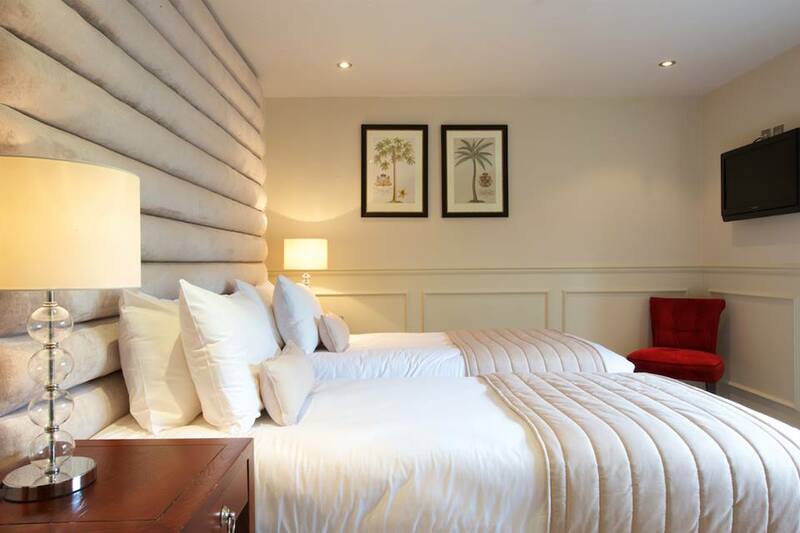 The house presents a range of luxurious accommodation, from classic double and twin rooms, all with complimentary Wi-Fi, to upgraded deluxe rooms with ensuite bathrooms. The superior double rooms, located in the Coach House, feature a wealth of extra space and each has a 50-inch plasma screen television. For more information on the house and its features, either visit their main website or click on the enquiry tabs to the side. 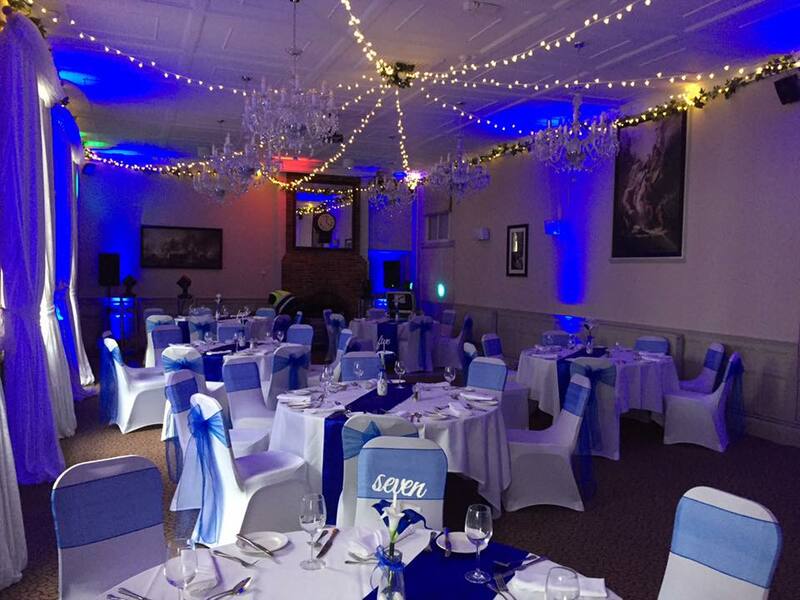 I recently had my wedding reception at The Talbot, it was a great day. Throughout it all the two gentleman who were the hosts were excellent and nothing was too much for them. The food and service of the food was great and we had no problems. Everyone working that night was brilliant! Due to The Talbot being taking over we did have a few problems with co-ordinators at first. However when we had a permanent co-ordinator to talk too, she was very helpful and quick to reply to emails. 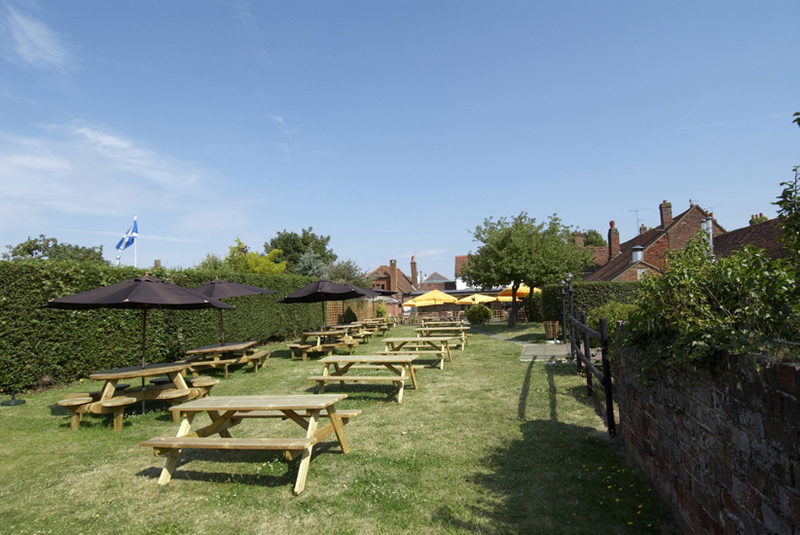 The Talbot is in a lovely setting and if you want a small and lovely wedding The Talbot is the place! 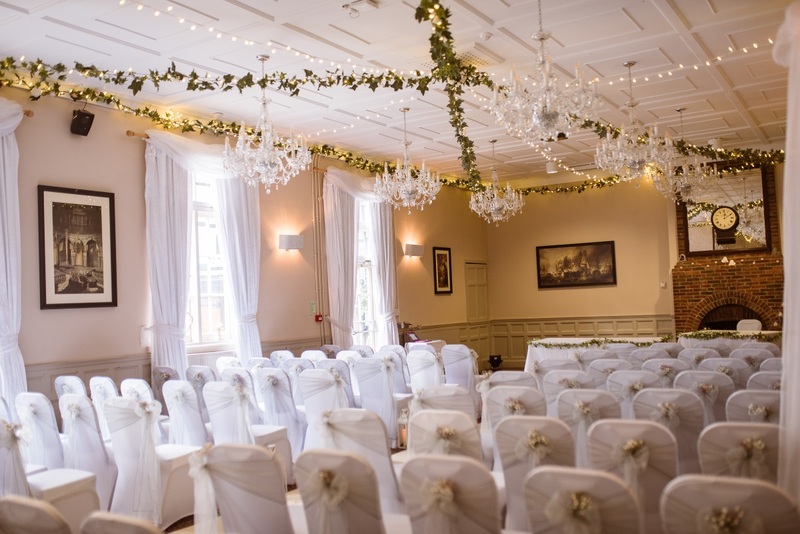 We had a wonderful wedding at The Talbot Ripley in June 2017. The wedding planner, Krystyna, was very efficient and guided and helped us with our plans for the day. 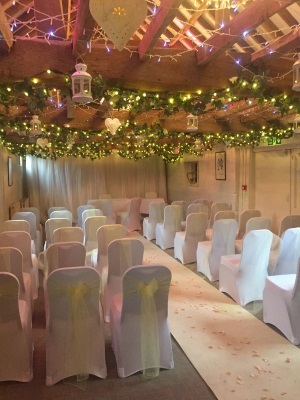 The Surrey Barn was decorated beautifully and was a very intimate venue - just what we wanted. The MC on the day was great and nothing was too much trouble. The food was good as were the staff. We had a perfect wedding day! My husband and I married at The Talbot on 1st July 2017. Our wedding was 2 years in the planning and worth every moment of it. Kristina, Russell and the entire team were fantastic! 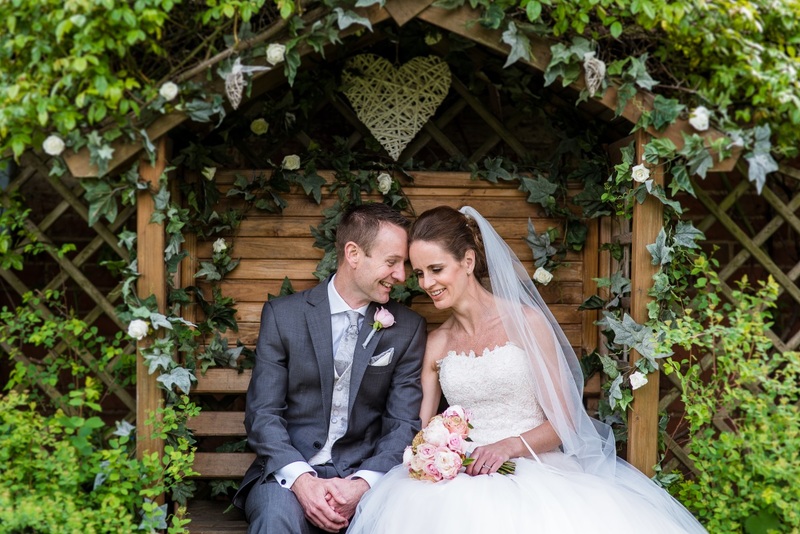 Given we had so long to plan our wedding we knew exactly what we wanted - nothing was too much to ask of the team and they were so helpful in offering suggestions for the day and recommending suppliers as well as generally going above and beyond at any opportunity. In the run up to the and on the day itself we knew we were always in safe hands with The Talbot team! We had the most perfect day and our wedding was nothing short of amazing thanks to the team at the Talbot. Several guests commented it was the best food they'd ever had at a wedding and commented how great the venue and staff were too. 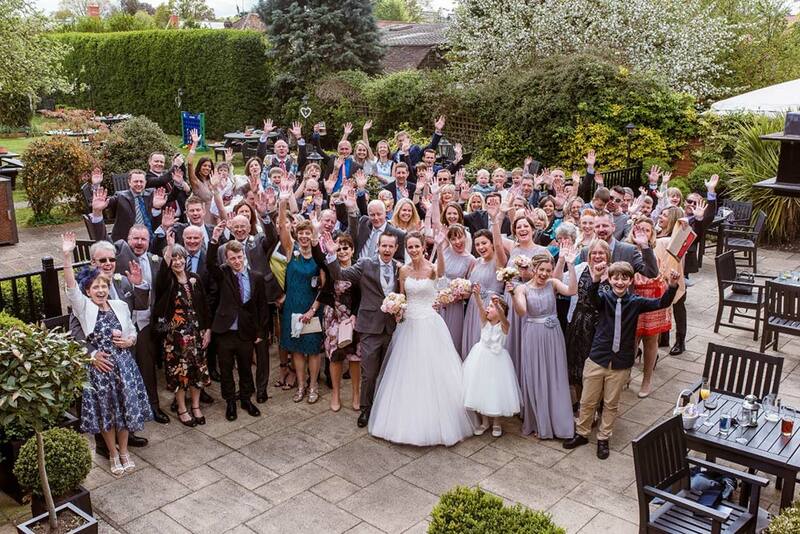 Huge thanks to all at The Talbot for making our dream wedding a reality! 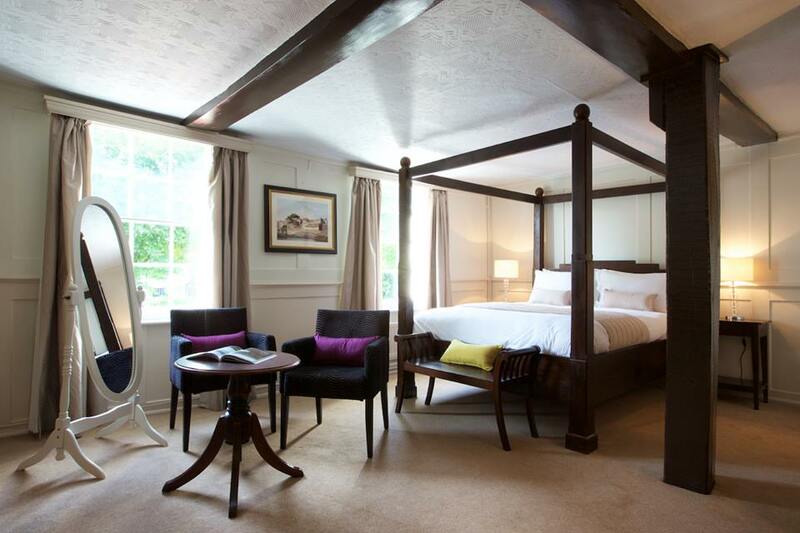 Let others know what you think of The Talbot Ripley by giving a star rating and a small review.